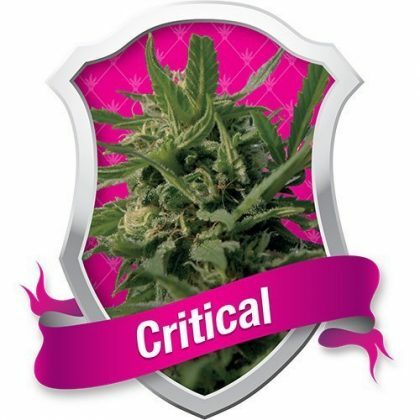 Critical feminised cannabis seeds by Royal Queen Seeds has been created to bring together all of the features important to deliver the ultimate cash crop. Critical Feminised strain is indica dominant and has the perfect balance of large yield, short flowering time and quality smoke. No other strain from Royal queen strain will produce as much in 7 weeks as Critical Feminised seeds.